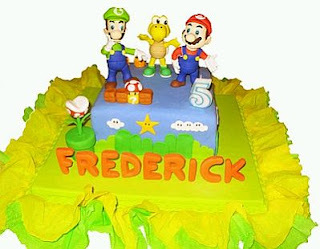 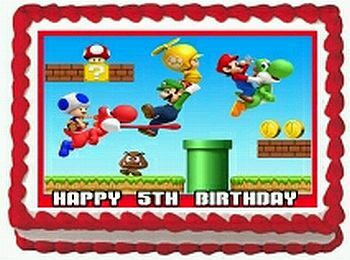 If you already have the perfect decoration for your little one's birthday, all inspired by Mario Bros, then now you must choose the right cake or cakes, for that reason we present below a series of cakes ideal to surprise your guests . Here's a birthday cake from a floor, decorated with a scene from the game Mario Bros, seated in the middle. If you prefer a larger and impressive cake, here's a three-floor, furnished as the game, can be seen on the top is the famous Mario Bros. Cute birthday cake model, two floor, both decorated with the colors and characteristic features of the video game Mario Bros, and this beloved character, appears at the top. Small cakes, single floor, are also very good, as you can see in this, which highlights the image of Mario Bros in the top image. 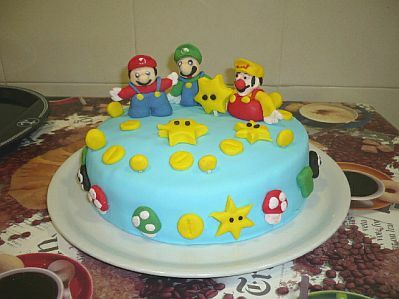 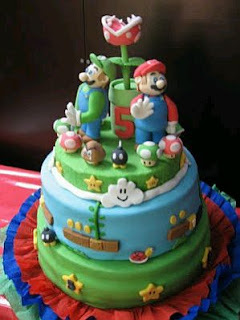 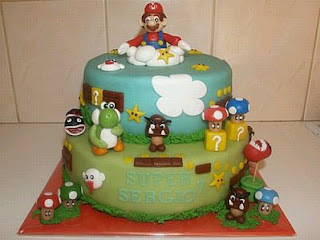 This is another cake square and a floor decorated with red mushrooms and characterize the video game Mario Bros on top. 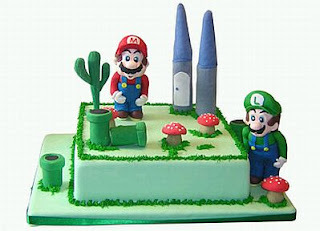 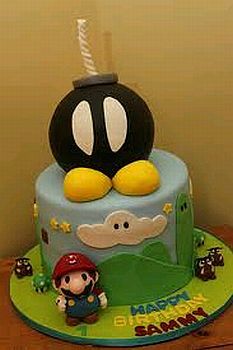 And if you want an explosive birthday cake, do you think the original idea, the base has a Mario Bros on top and a bomb. Another colorful cake decorated with scenes from the video game and on top, the charismatic Mario Bros. 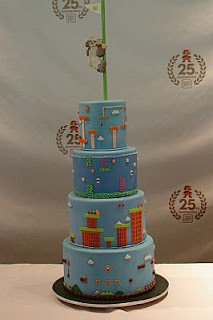 This other cake or birthday cake is a work of art on four floors, each decorated as if the video game itself and on top, suspended from a pipe, Mario Bros. 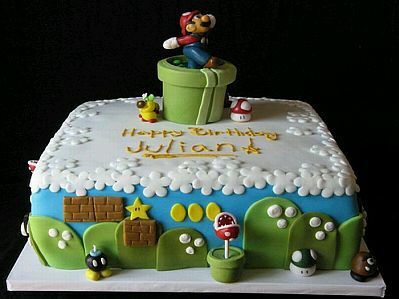 This cake, in the central part shows a colorful decoration that reproduces the classic scene from the video game Mario Bros.